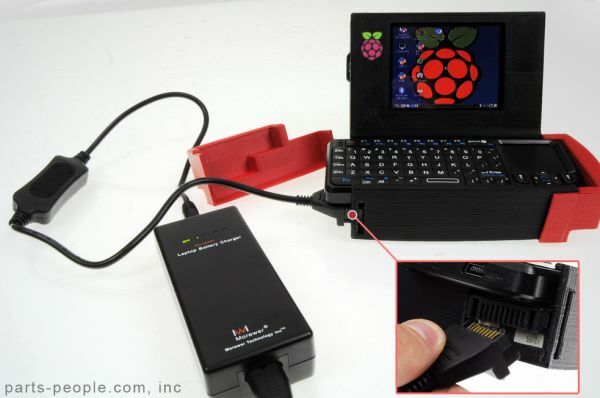 DIY: Pi-to-Go Is A Portable Raspberry Pi Mini-Laptop | OhGizmo! By David Ponce on 12/26/12 • Leave a comment! The beauty of the Raspberry Pi, in case you don’t know, is not only that it’s a full-featured PC not much larger than a credit card, but also that it’s so darn cheap: $25 for the base model, $35 for more RAM and a few extra features. It’s great, but it’s also barebones. 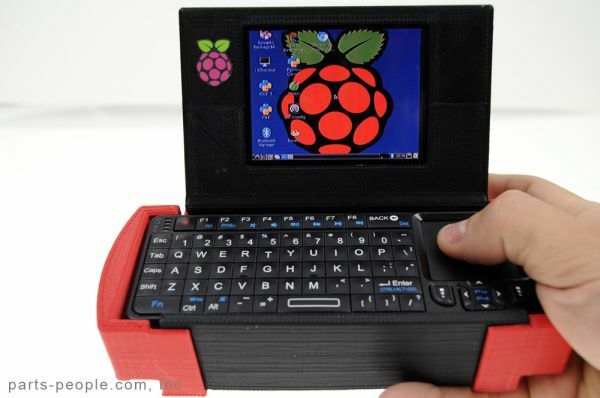 Its potential is unleashed in projects like the above from one Nathan Morgan, called the “Pi-to-Go”, and which involves a custom-built, 3D printed case and extra parts to build a fully portable mini-laptop. 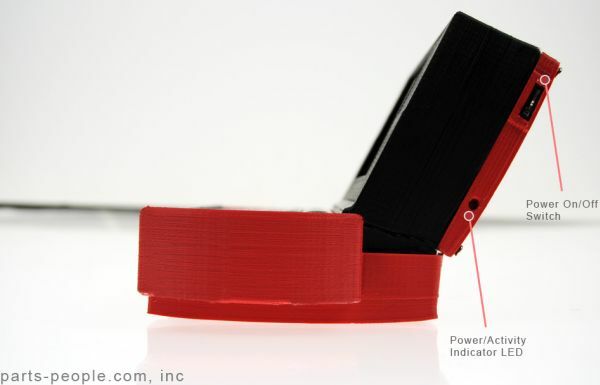 [The] 3D printed case is made up of 5 sections. The Portable Raspberry Pi-to-Go computer has a 64GB SATA II SSD, 4GB SD card and rechargeable battery with 10 hours of backup stuffed inside. The only put down about the awesome Pi-to-Go by Nathan is its very small screen and poor resolution – the 3D printed computer casing features a 3.5-inch 4:3 LCD display with 640 x 480 pixel resolution. Nonetheless, Nathan has taken great care to make it an extraordinary device. He has the Pi-to-Go designed with a small USB keyboard with built-in touchpad mouse attached to the screen, much like a best college laptop. The device has built-in WiFi and Bluetooth and uses a 6 cell 48WH Dell Latitude D600 laptop battery with standard 9 pin connector. The cost for the parts came up to $390, excluding the 3D print. This of course is starting to get more expensive than some of the larger laptops on the market currently, but that’s missing the point. If you want to learn how to make your own, hit the jump for links. Also, more pictures.